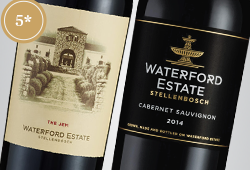 Michael Fridjhon recently highlighted in the Business Day that ‘the oft-expressed ideal of many winery start-ups is to limit the range to no more than one red and one white wine’. But he noted that because of limited funds few can actually make it their reality and have to produce more offerings to, as Michael puts it, ‘lubricate the bank account’. There are producers though who have narrowed their focus exceptionally well and have managed to eliminate non-core products or phase them into a second-label range. One of the producers in question is Bruwer Raats of Raats Family Wines. He has focused on Chenin and Cabernet Franc with only one blend entering his line-up, The Red Jasper blend, which has 48% Cabernet Franc. 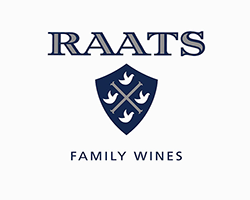 The results of this focused approach speak for themselves as Raats Family Wines was named Winery of the Year for the 2018 Platter’s Guide with 5 out of 6 wines achieving five-star ratings. Many find it especially interesting to note where his wines started from as a stylistic point of view and how far they’ve come. Critics have stood up and taken notice of this evolution and as Neal Martin says, ‘Cabernet Franc does not get better than at Raats’. The joint venture he launched in 2004 with Mzokhona Mvemve, the MR de Compostella is a perfect illustration of this. It was, as Michael defined it, ‘a big muscular wine in a style that no doubt pleased his employers and was very much in vogue’. 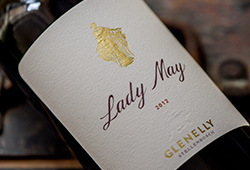 This wine is still a blockbuster and often sells out at over R1000 a bottle. The Raats Family Wine range starts off at the lower end from a price perspective yet this does them no justice as what is offered is simply exceptional. The Jasper is their entry-level Cabernet Franc whilst the Original is their entry-level Chenin Blanc. Both these wines offer exceptional value for money and represent the value to be found at all price points from Raats Family Wines. Raats Family Wines now also offer wines from the opposite side of the spectrum and have built their reputation upon this. 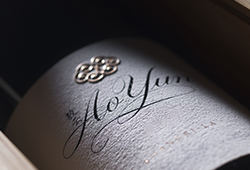 Their range starts of with the Red Jasper at the lower end of the market all the way up to the ultra-premium Eden 2016 which only had 100 cases produced. Bruwer Raats has identified what the strengths of the farm are and are now utilising them to produce superb and Cabernet Franc’s that appeal to any level of wine lover.